It’s been a tough journey, one often lacking enough opportunities to rest, but I’m so proud of how R4R has highlighted the resilience of QTPoC community. This work is tied to our survival. We're still here, and so are you. All of us are learning what it means to embody the term “Rest for Resistance.” And I’m so grateful for the shifts in my own thinking about self-care and wellness that have happened as a result of the wisdom many others have shared. 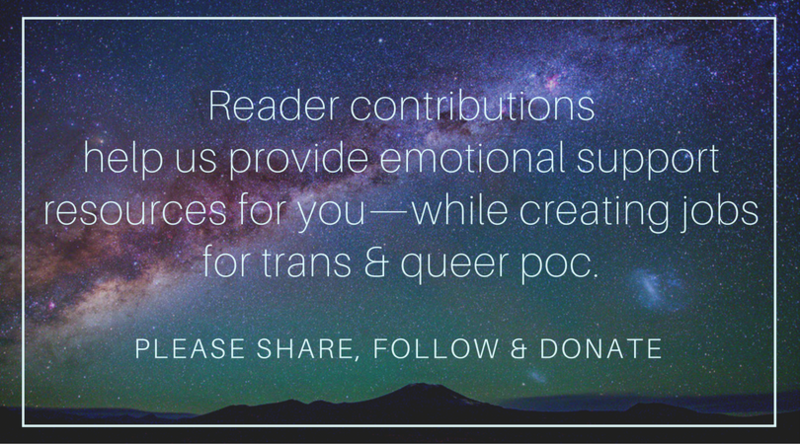 Everyone who’s a part of Rest for Resistance – readers, writers, artists, and editors – has made my life a little more worth living, and that’s no small thing. Thank you. There’s no way to review all the amazing parts of this year in one post. However, you can easily view everything we’ve published to date in our archive – worth a look for the artwork alone. And if you’d rather have a quick glance, check out five of R4R readers’ favorite articles from our first year. They’re also available in our first-ever print zine, now on sale! "A functioning label is an oppressive tool used by mental health gatekeepers to assess how well you navigate capitalism while dealing with a mental health struggle. Does your depression keep you from holding down a job? Did you drop out of school because of OCD? These labels empower your therapist to determine which parts of your life are problems, and to what extent, even if you disagree. Accessing mental health care is almost always hard. For queer and trans people of color, it can sometimes feel impossible. These tips won’t transform an oppressive industry, but I hope they’ll help you feel more confident, armed with tools to help you navigate it." "Our productivity does not have a steady rate that can be calculated, and we don’t produce more just by spending more hours at a certain task. We require physical rest, emotional connections, daydreaming, food, laughter, purpose. And all of these things prevent us from fitting neatly into a machine model." "Taking accountability for our past choices is the freedom to make new ones. Learning to recognize how we treat ourselves badly isn’t the end goal, but the process itself. 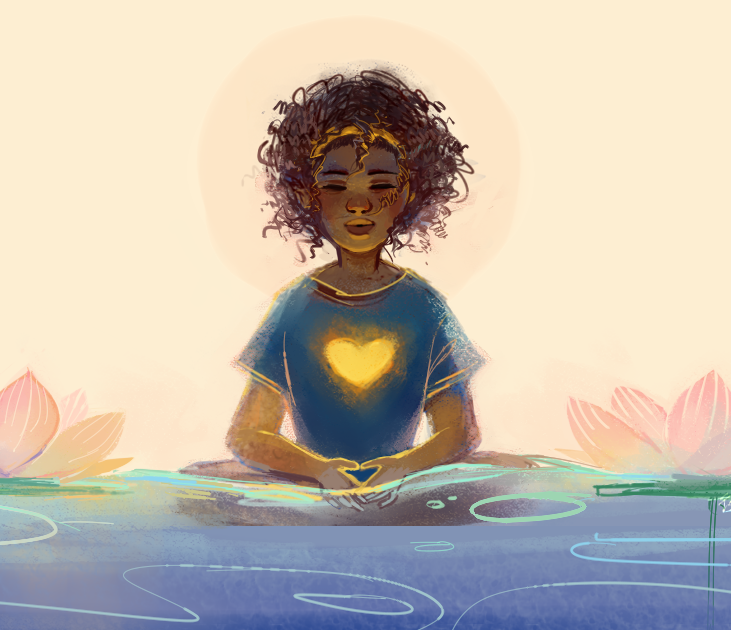 It’s an ongoing commitment to love ourselves and others more fully, to spot harm as it’s happening, and to cultivate sustainability in our lives and communities. There’s no way to know exactly what good we’ll get out of self-accountability until we start." "Viewed through the lens of capitalism, our worth is only so much as the money we make. And according to that doctrine, healing 'makes' no money, so it is therefore extra, worthless, something only for downtime. But what if we thought about it differently? When we heal, we are able to be more to each other and ourselves. And not in that way where we say healing is valuable because it eventually makes us good productive workers in a capitalistic system. We become more invested in ourselves, and we have more of ourselves to utilize in the ways that bring joy for everyone, including us." "The role models I had access to were white, affluent, and held a lot of disdain for women with lives different than theirs. They profited from people’s need to hide from society’s violence. And to this day, they damage transgender people by enabling and even coaching Hollywood in its obsession with caricatures of trans women played by cisgender men. But back then they had an image, and their way to be trans was what I had. Their influence over me and trans youth at large has been vanishing for a while and I couldn’t be happier; but the extreme toxicity, the racism and the complete lack of regard for those of us who couldn’t access this middle class dream life hurt me deeply." Thank you for being part of Rest for Resistance as a valuable member of our community. We're excited to continue creating resources and making space to speak out about the experiences that have been silenced. Sign up for our monthly newsletter to ensure you don't miss what Rest for Resistance does next. A person is laying down on a rainbow flag. They're outdoors on a patch of dirt next to small yellow wildflowers with some trees in the background. The femme in the foreground is waving a trans flag and wearing a flower-printed blouse, a black velvet skirt, red combat boots, and big circular glasses. They have a mustache and dark brown hair. The editor-in-chief of Rest for Resistance and founder of QTPoC Mental Health, Dom believes in the power of community to combat oppression. They are a non-binary desi-dutch-american person living with multiple disabilities. Eve Moreno is a trans and queer multimedia artist of color living in South Central Los Angeles, raised by parents that migrated from Mexico City and Santa Ana, El Salvador. Although their work ranges from writing, video and photography, their passion is taking portraits of trans and queer POC, and they find affirmation in self-portraiture work. Follow Eve on Tumblr, Instagram, and their facebook page.